The proliferation of mobile devices, smart appliances, business applications, and other accompanying development environments have made automation testing, an integral aspect of disruptive product innovation. Enterprises are leveraging automation testing and smart analytics to drive faster decision making and validation of innovative products and services. Automation testing has also helped in improving the overall productivity, software quality, and customer satisfaction for the organizations. Unlike traditional testing strategies, which are costly and arduous, automation testing ensures an accelerated speed of digital transformation and reduces time-to-market lifecycles. The automation testing tools ensure the functionality of each and every application by applying the developments in quality, cost, and agility, all with the capability to cope up with the rising digital complexity. QA companies are emphasizing on agile software development methods, in conjunction with DevOps’ Continuous Delivery (CD) and Continuous Testing (CT) to offer a definitive competitive advantage and a quick response to the customer requirements. Additionally, these self-aware and self-adaptive automation testing platforms are also assisting in maintaining the highest level of quality, while ensuring shorter development cycles. Many software testing companies are also contemplating to leverage artificial intelligence, blockchain, Internet of Things technologies, and other intelligent technologies to take automation testing to new heights. Amid these industry shifts, our distinguished selection panel, comprising CEOs, CIOs, CTOs, industry analysts, and the editorial board of CIO Applications, has narrowed the choices to 10 companies that exhibit competence in delivering inventive automation testing solutions. By collaborating with these companies, businesses can easily walk through the maze of automation testing. We present to you CIO Application’s “Top 10 Automation Testing Solution Providers-2018”. BRISA offers automated testing solutions, allowing its customers to design automated test scripts. The company has garnered widespread recognition with the use of best practices and industry standards to ensure efficiency and guarantee the delivery of software quality assurance. BRISA delivers business solutions and communication technology services through the development of strategic and technical projects. These automated test scripts help in evaluating the causes of software failures like maintenance and upgrades of modules or components. BRISA also provides many other testing solutions like Functional Testing Exploratory Testing, Security Testing, Usability Testing, Performance Testing, Accessibility Testing, Load Testing, Stress Testing, and Customized Testing. Froglogic is a software company, which is widely known for its automation testing suite, Squish. The Squish is a Graphical User Interface (GUI) test automation tool for cross-platform desktop, mobile, embedded, and web applications. It allows the users to automate the functional regression test cases, system test cases of their GUIs and Human Machine interfaces (HMIs). Squish also provides features like test script recording, reliable object identification and verifications, powerful integrated development environment (IDE), command line tools, integrations into test management, and a wide range of dominant scripting languages for test scripting. 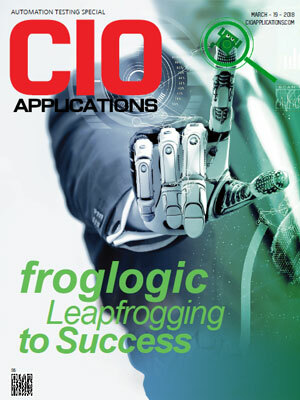 Froglogic also offers another solution, Coco to analyze the test and code coverage of C, C++, C#, Tcl, and QML code. Prudent provides IT automation, data management, and software quality solutions. The company’s Self-Service automated Enterprise Platform (AEP) offers a one-stop solution for enterprise-level automation testing. The AEP is a behavior driven and centralized platform that can transform annual test cases to automation with minimum efforts, resulting in reduced costs, and increased efficiency. The automation platform of Prudent technology offers an innovative approach to identify unique enterprise technology stack components, which is then used to develop an enterprise component automation package. Furthermore, the company also provides services like Behavior & Test Driven Automation Solutions, Enterprise Dashboard, Governance, and Metrics, and Infrastructure Automation and Delivery Pipelines. QA Mentor is a leading software testing company that provides automation testing tools and services and QA outsourcing services. The company offers 30 QA testing services in eight different languages with more than 200 global resources. The company also delivers a unique automation testing solution that is a one-stop shop for all of its customer QA needs. The static testing service of QA Mentor allows companies to perform earlier testing to ensure quality from the beginning. The unique architecture of the company’s platform contributes significantly towards the overall quality of the application, performance improvements, and scalability. QA Mentor also delivers many other solutions like Recruitment and Staffing, Candidate Interview Assessment, QA Manager on-Demand Services, and Security Testing Services. A1QA is a software testing company that provides full-cycle testing services, which includes QA audits and consulting, automation testing, and QA outsourcing. The company also delivers test automation service package to provide flawless software to its customers within stipulated time frames. A1QA uses keyword-driven testing approach for automation testing that covers hundreds of test cases in long-term projects with complex business logic. The company offers excellent testing services and niche expertise to its customers across several industries, which includes software and technology, telecom, banking and finance, healthcare, education and e-learning, media and entertainment, e-commerce, oil and gas, travel, and hospitality. CloudQA is an automation testing solution company. CloudQA is a Value SaaS business with full-featured QA automation platform. CloudQA assures faster high-quality products automating them with TruRT’s powerful test execution engine. CloudQA accelerates regression testing with TruRT’s. TruRT’s is a codeless platform which offers a variety of integrations, remote test executions, advanced notifications and comprehensive reporting among other productive features. The company provides Cross browser testing, data-driven testing and maintains test cases. CloudQA offers products like TRuMonitor-Synthetic Monitoring and TruLoad-Load Testing. CloudQA also specializes in Agile testing, Rapid Test Automation, Codeless Testing, Cloud Execution, Record and Playback, and Web Application Testing. Indium Software is an automation testing solutions company committed to delivering exceptional customer-centric solutions. 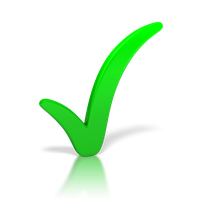 Indium Software offers Quality Assurance (QA) and complete software testing for global enterprises. The company provides automated testing to shorten test cycles, ensure greater accuracy and efficiency. Indium Software also shortens regression testing time at a competitive cost to enable quick release of software updates. Indium Software offers tool based solutions like Test Automation, Performance Testing, Mobile Test Automation, and Security Testing. Indium Software’s Test Automation also ensures faster time to market, constant additional enhancements, reduced regression run time and enhanced test coverage. Indium Software also delivers continuity of ownership of test automation framework such as iSAFE, iMobi, iFACT and iAVA. QualiTest is an automation testing solutions company offering a comprehensive range of test automation solutions to meet the goal of increasing velocity throughout the software development lifecycle. QualiTest delivers a customized test automation solution that meets the customer’s needs. 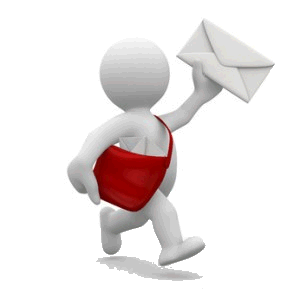 The company provides a simple one-time solution as well as a comprehensive solution. QualiTest also develops specific solutions including automated regression suites. Qualitest offers solutions like KDT (Keyword Driven Testing), Exploratory Automated Testing, Passive Exploratory Automated Testing (Passive EAT), and Active Exploratory Automated Testing (Active EAT). QualiTest also specializes in other services such as Mobile Testing, Website Testing, Load and Performance Testing, Cloud Testing, CRM Testing, ERP Testing, EDI Testing and much more. TestingXperts is one of the leading automation testing solutions company which helps in reducing regression testing time and cutting down the time to market with significant cost savings on a long-term basis. TestingXperts supports business objectives by designing an automation strategy aligned with enterprise goals. TestingXperts also offers framework developments such as Data Driven, Test Data Adapters, Hybrid modularity/ reusability, Unattended Test Execution and so on. TestXpert’s Tx-Automate is a modular, reusable, integrated and compatible ‘ready-to-deploy’ test automation framework. TestingXperts Tx-Automate is an extensible automation framework. TestingXperts provides solution tools like Selenium, TestComplete, Coded UI, Ranorex, Selendroid, Appium and so on.